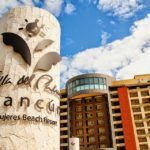 In a grand investment to celebrate 30 years as one of Mexico’s leading vacation club resort developers, the Villa Group announced last week the reopening of Villa del Palmar Puerto Vallarta, Mexico on October 18, 2014. Villa del Palmar Puerto Vallarta is set to wow guests with its incredible renovations after building works took place over the summer. Villa del Palmar Puerto Vallarta was the Villagroup’s first purpose built timeshare resort, which has continued to delight both hotel guests and timeshare members for nearly 30 years. The multimillion-dollar renovations has brought about a new phase in the history of the resort, impressing guests and members with its modernized rooms, new landscaped gardens and an impressive fountain-studded entrance. 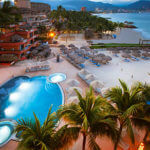 Renovations and building work at Villa del Palmar Puerto Vallarta have certainly taken a turn to modernize the resort. The private Villa suites have received a trendy overhaul inspired by Mexican pop culture, with flashes of bright colors, rich textures and a sense of fun. If you are a return visitor, you are sure to be delighted by the new decor and improvements. The resort landscape has also received a “facelift” having made room for more exotic gardens and an impressive entrance with a new motor lobby by demolishing 47 rooms. The pool areas and pool have also been freshened up with new pool pebbles to reflect the light and a general overhaul. If you have stayed at Villa del Palmar Puerto Vallarta since the renovations took place, leave your comments below. Share the post "Villa del Palmar Puerto Vallarta Building Works"